If you’ve never witnessed the Super Boat International in Key West, they’re a pretty incredible sight to behold. Here we’ve compiled a list of things to know if you’re in Key West for the week of the offshore powerboat races. 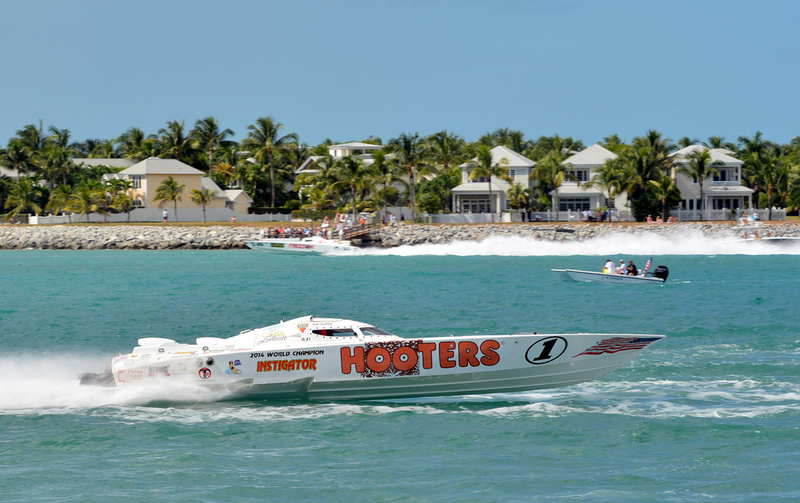 The powerboat race is one biggest events of the year in Key West. Know that Mallory Square will be the busiest place to watch the races. It’s also the best place to view the sharpest (and most dangerous) curve of the race. That weekend, Duval Street will be extra busy, but outlying areas away from the more tourist areas are business as usual. If you’re looking for a more lowkey place to view the race, check out Fort Zachary located on which is located near the second turn of the race. The Keys are sunny any time of year, and staring out into the horizon takes a toll on the eyes. Definitely bring a hat or pair of sunglasses so you don’t strain your eyes too much watching the race. Also, if you have any binoculars hanging around, this is the event to bring them to. The boats race pretty close to shore, but the binoculars will offer a closer glimpse of the water conditions and sharp turns racers are dealing with. While the festivities and events last Nov. 5-12, there’s actually just three days of racing. Stay ahead of the game by checking out the week’s schedule here and what to expect. The races all take place in broad sunlight, so pack a cooler with drinks to keep you hydrated. Also, wear light, breathable clothes and a hat, because the sun in Florida has a tendency to direct its rays at the top of people’s heads. 5. Don’t forget the Friday Duval Street party! To get a closer glimpse of these boats, or other just fancy boats, the Friday night street party on Duval Street rounds up boats from the shore and parades them down Duval Street on trailers. It’s one thing to see these boats flying through the water at a distance, but to see their scale up close is pretty stunning. Enjoy, kids!